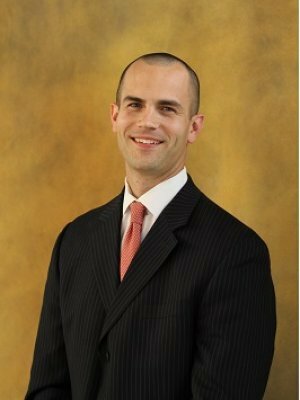 Matt began his Financial Services career at IMG Financial Group after graduating from Rice University in May 2002, with a degree in Managerial Studies. A four-year letter winner in football and the only member of his class voted team captain by both his coaches and teammates, Matt brings that same level of work ethic and leadership to his clients. As a dedicated husband and father of 7 children, Matt understands the financial challenges that exist for individuals and businesses. He personally implements and believes in the strategies and solutions he recommends to his clients. Matts focus is on providing guidance in navigating the different stages of ones financial life cycle. His commitment, knowledge and attention to detail allow Matt to customize financial strategies that are in accordance with each individual clients personal situation and goals. Matt is an active member of the Houston Association of Insurance and Financial Advisors. He is also a member of the Million Dollar Round Table (MDRT)*. In addition, Matt serves as a member of IMG Financial Groups Firm Advisory Board that is tasked with the overall leadership and planning of the firm. Matt obtained his Chartered Life Underwriter (CLU) designation in February of 2016. Since 1927, the CLU® has been the respected risk management credential for advisors. *Investment Advisor representative and registered representative of Securian Financial Services, Inc.
*Million Dollar Round Table: Million Dollar Round Table (MDRT) is an independent membership organization of life insurance and financial service professionals. Membership levels are based on commissions, premiums, or fees generated within a year from investment and insurance products. Members must apply annually and pay a fee. Members must be members in good standing of a Professional Association which has met the following criteria: in existence at least 2 years, have 100 or more members, must be a nonprofit organization, must have a code of ethics and an effective means of dealing with breaches of its code. Members must also adhere to the MDRT Code of Ethics. Working with this advisor is not a guarantee of future financial results. Investors should conduct their own evaluation.